No time? No problem! 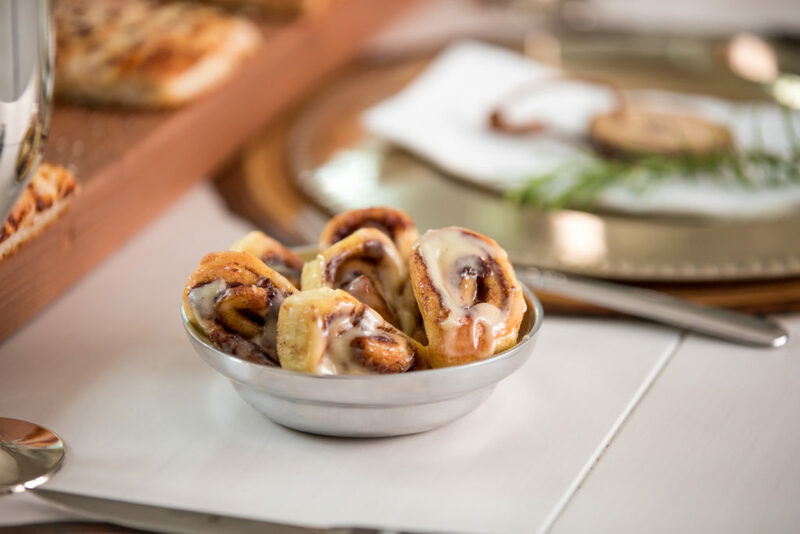 Friendsgiving doesn’t get much easier than this! It sounds crazy – why would you not serve turkey on Thanksgiving? 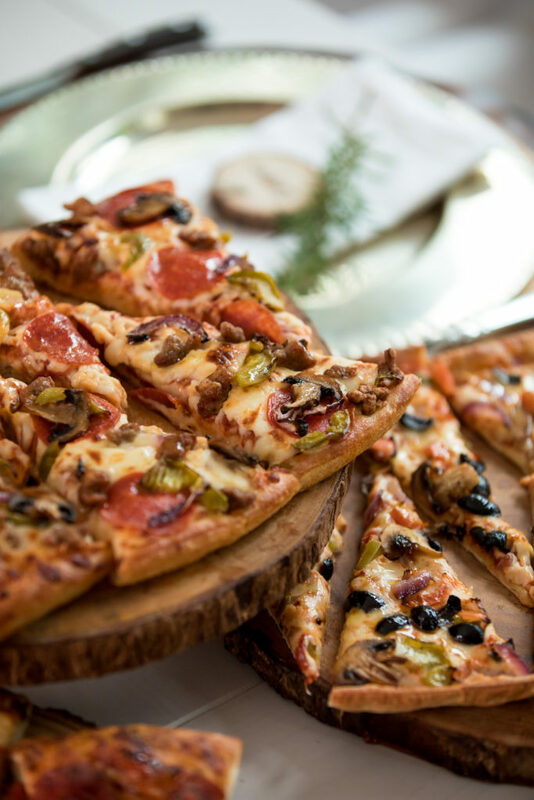 Not everyone likes turkey and not everyone likes to cook, but, everyone likes pizza. So, let them eat pizza! 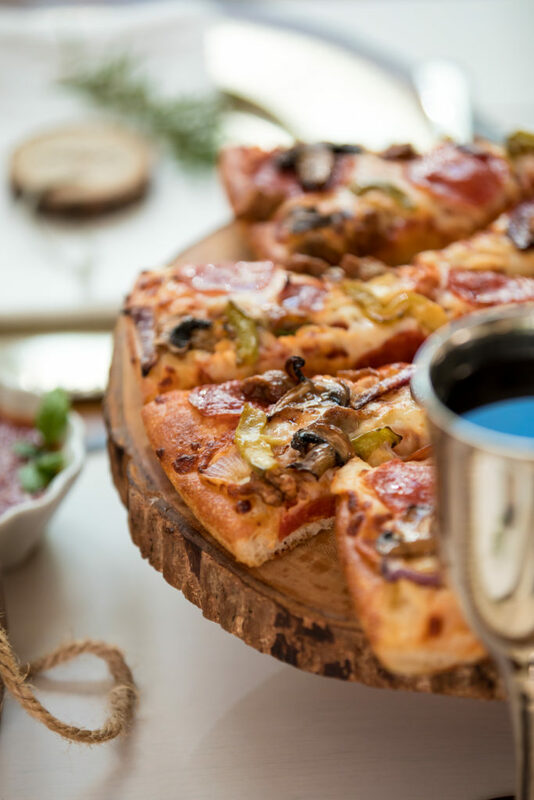 We’re hosting a Pizza Hut Friendsgiving! 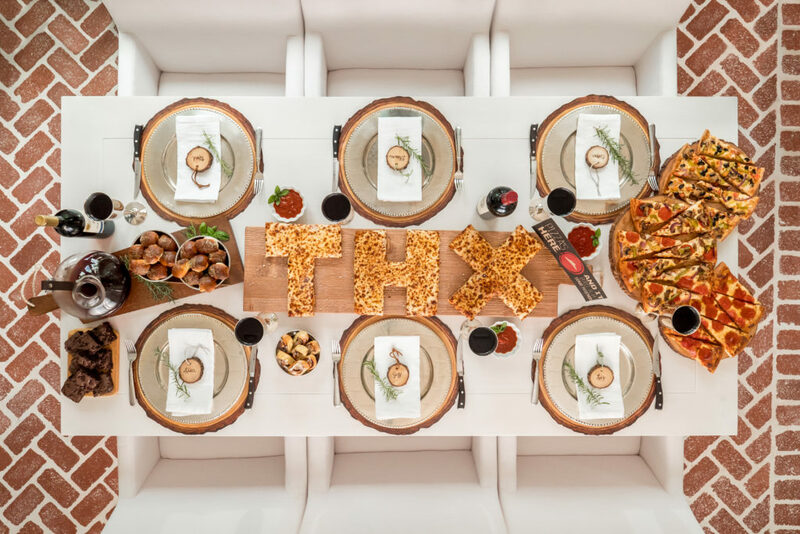 I teamed up with Grateful and Pizza Hut to create this super fun idea that’s perfect for a Friendsgiving. Everyone’s busy these days and may not have family in town, so instead of a formal, fancy Thanksgiving, this is for you. Check out this post for food and tablescape inspiration! We had some fun with the pizza and carved special letters to remind everyone why we came together! Even though this is a super casual setting for Thanksgiving and we’re getting takeout, it doesn’t mean we can’t be creative with our table. My trusty long wooden board served as the centerpiece for the table and our pizza in the letters THX graced the middle of the board. We used 3 cheese pizzas for the letters and cut them easily with a knife. Pro tip: Carve any letters or numbers into a whole pizza for a birthday celebration or a monogram for a wedding or baby shower. 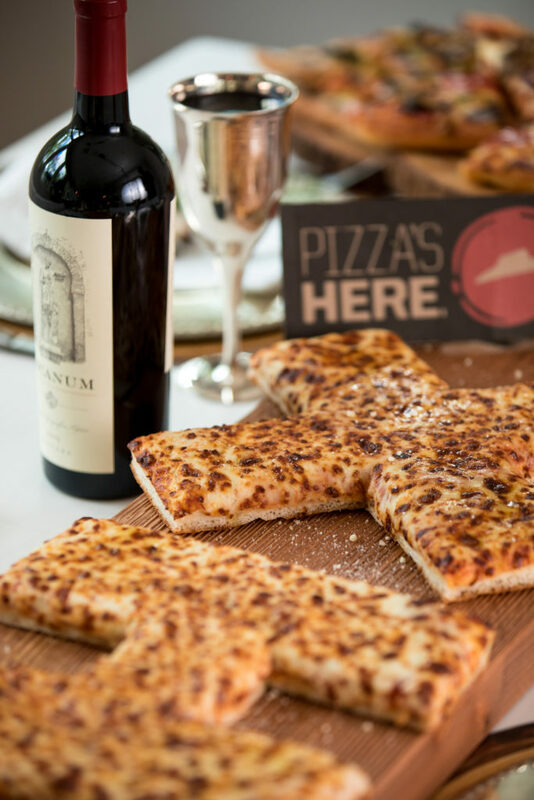 Place onto a fun platter or board for a pretty display. 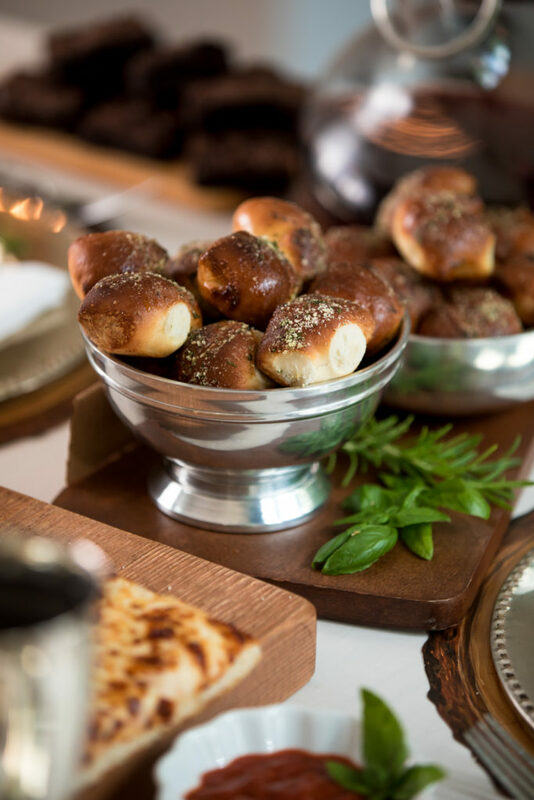 I’ve had these pewter beaded chargers for years – there are one of my go-to entertaining pieces! 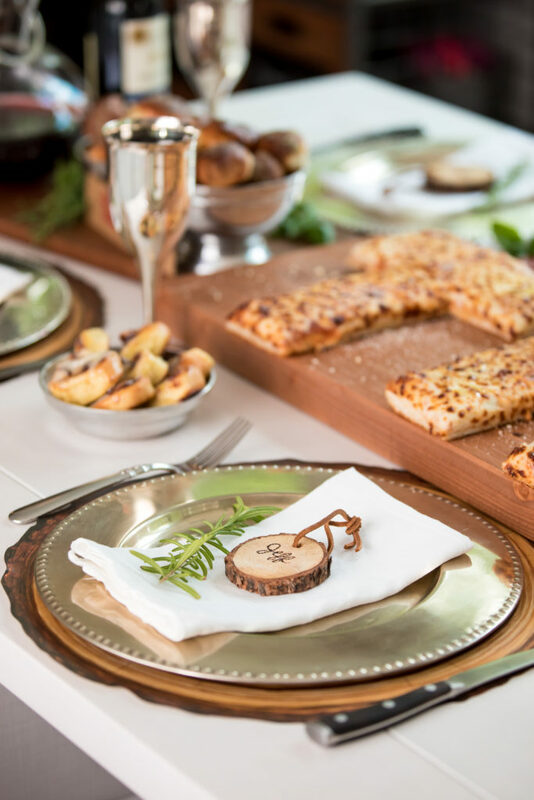 Keeping it simple and rustic, like an Italian supper should be, I used paper wood tree slice placemats and beaded pewter chargers. Of course we ordered a variety of pizza so everyone could enjoy their favorite toppings! 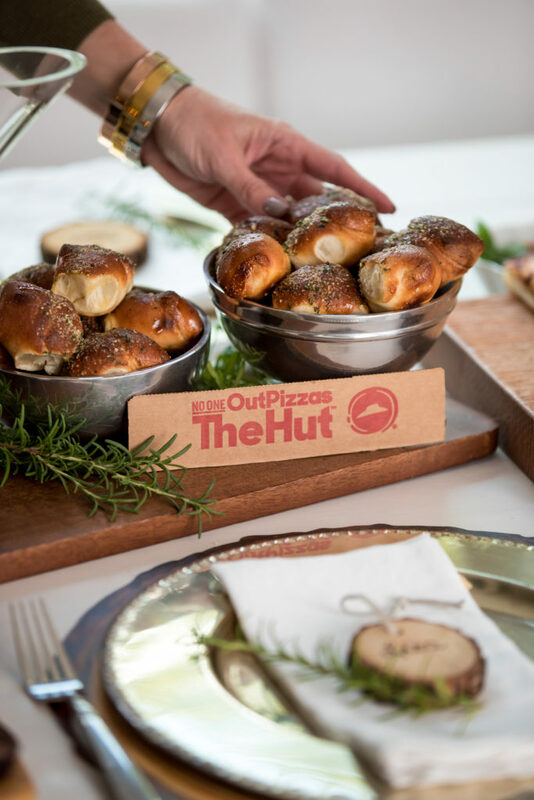 Bread on Thanksgiving is just a given – here’s our version! 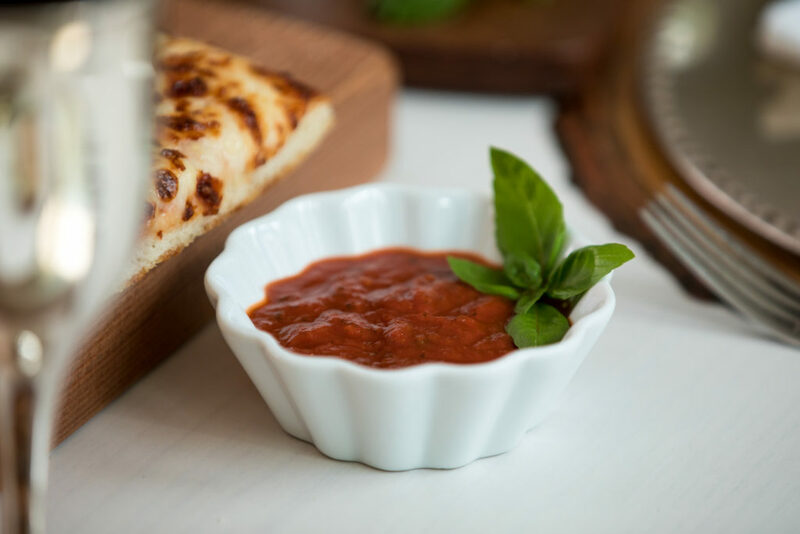 Individual bowls of marinara gave everyone their own dipping sauce – a nice touch so double-dipping isn’t an issue! 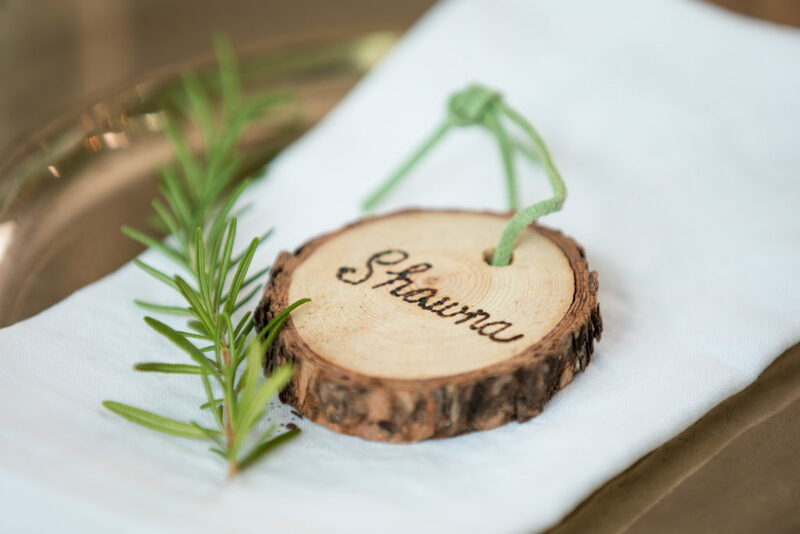 I found these small wood slices online and carved everyone’s name with a wood burning pen. Pro Tip: By organizing place cards ahead of time, it takes the guesswork out of where to sit and lets your guest know you’ve thought of them ahead of time. 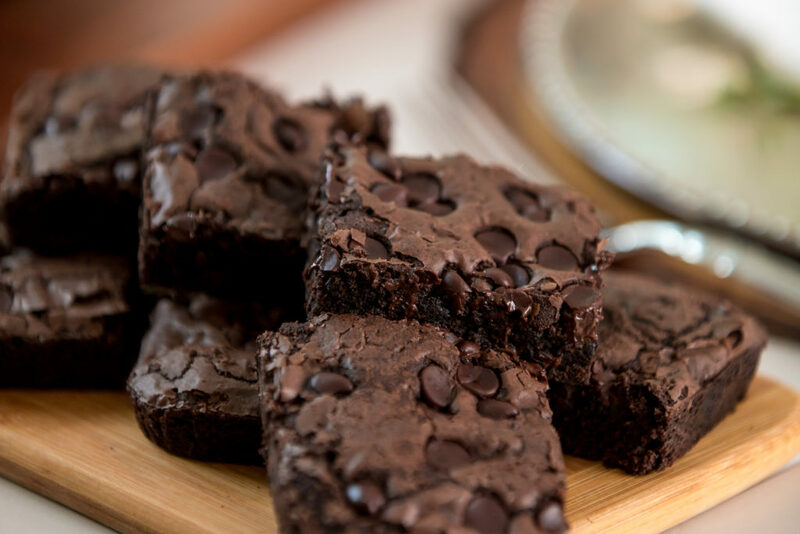 Hershey’s triple chocolate brownies are a great treat, especially for chocolate lovers! Pro Tip: Don’t forget about your own yard or garden for special herbs, leaves, or branches to lend a natural, organic feel to your table.